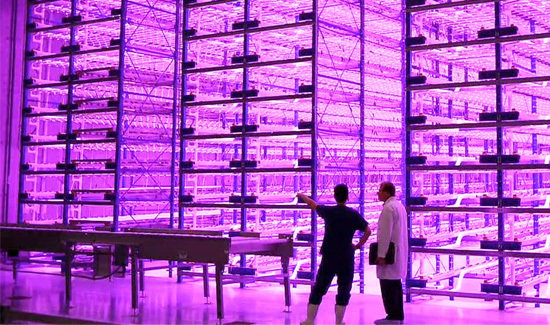 This “pinkhouse” at Caliber Biotherapeutics in Texas, grows 2.2 million plants under the glow of blue and red LEDs. The practice of vertical farming could potentially undergo a transformation that will make urban food centres more productive. Although many people believe vertical farming is unpractical, it is becoming increasingly popular as agricultural space becomes scarcer and people desire food produced closer to home. One major problem that arises with vertical farming practice is that of lighting. By stacking plants on top of each other, it creates shade and a need for artificial lighting. Architects and engineers have been searching for a less expensive way to produce food that is better for the environment. One solution is pinkhouses, which call for glowing bright pink from a mixture of red and blue LED lights. Incandescent lights are costly to run and are less efficient than using LED lights, which use 90 per cent less energy than regular bulbs. Vertical farmers can control electricity usage by only subjecting the plants to the wavelengths of the red and blue light that they need without having to produce green and white light as well. Red and Blue LED Lighting. Horticulturist Cary Mitchell of Purdue University says studies have shown lettuce can be grown solely in red light, but if blue light is added it grows better. The photosynthesis process within the plant absorbs red and blue light most efficiently. LED light bulbs are much more environmentally friendly and can be set to specific wavelengths rather than using all of the colours. LEDs also produce less heat, meaning that they can be put closer to the plants without harming them. Using LEDs in vertical and regular greenhouses is still fairly experimental. At this stage, it usually supplements natural light rather than replacing it. Barry Holtz of Caliber Biotherapeutics has foregone natural light in his farming practices, growing crops completely closed off and protected from pests and drastic temperature changes. "A photon is a terrible thing to waste, so we developed these lights to correctly match the photosynthesis of our plants," he says. Despite his crops having no access to natural light, he says they grow almost 20 per cent faster even as he saves energy. Intercanopy LED Lighting for Tomato Production. Holtz and his company built a plant factory in Texas where over two million plants are grown in a stack over 50 feet high underneath red and blue LED lighting. The tobacco-like crop he grows is expensive and the pinkhouse gives him tight control over the plant to ensure its productivity. His own success with the process notwithstanding, he says pinkhouses may be cost prohibitive for some. "It’s still relatively expensive for growing food. But for specialty crops, the economics wouldn’t be so bad," he says. Mitchell has been studying how to grow plants in space for over 20 years and says modern architectural ideas of turning skyscrapers into vertical farm complexes is unfeasible, suggesting the future of vertical farming lies in suburban warehouses, not urban skyscrapers. Wherever it occurs, it seems inevitable that farmers will need to move up rather than outwards with food production. Holtz fully backs pinkhouses as being water and electricity efficient, noting that they could become a practical alternative for the future. This will particularly be the case if their costs fall. LED-powered pinkhouses may soon enable vertical farmers to grow affordable produce and increase local food production, which is better for the environment and produces food more efficiently. ver the years we have installed many LED football scoreboard displays into Football Clubs, from small non league Clubs, Schools and Colleges, through to Premiership Clubs. 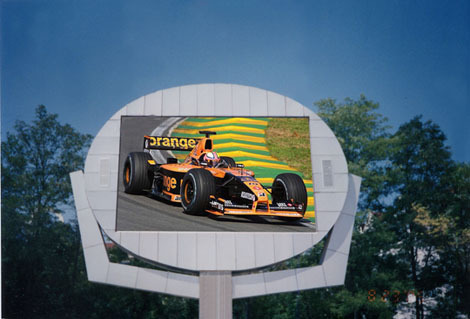 Whether you are looking for a simple cost effective football scoreboard which may be a basic 2 digit HOME/AWAY scoreboard with 2 digit timer, to a large Outdoor Full Colour Video Screen or somewhere in between, then speak to us and we can come up with the perfect solution to your requirement. At a Football Stadium, sports LED displays and scorebaords can be installed at the ends of the pitch for greater effect in the budget allows or a single display at the half way line. For a football scoreboard installed at the end of the pitch, the viewing distance would be 90 metres, therefore giving an LED height of approximately 300mm. 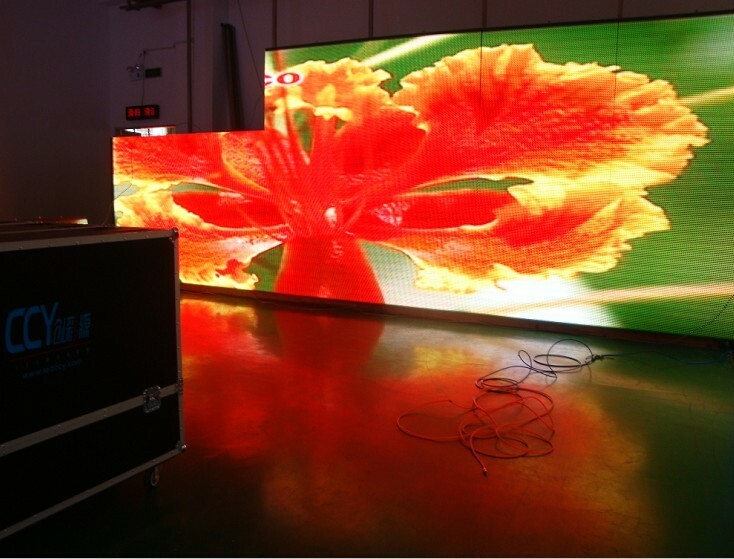 For displays installed at the half way line require an LED height of 200mm. 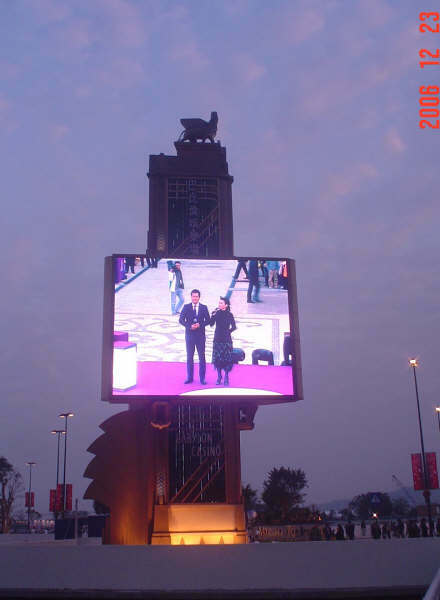 All our outdoor screen displays and sports LED boards are built with the weather in mind! APOLLOMI........When only the Best Will Do!